How to install plugins on Wordpress? 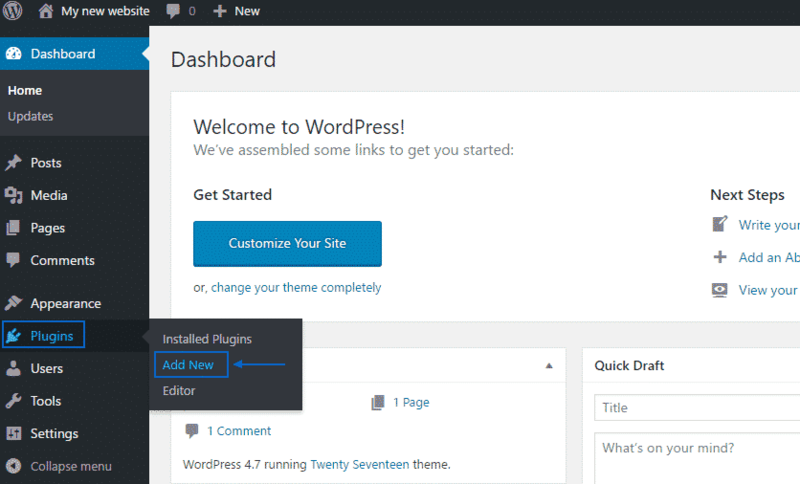 How to install WordPress manually? How to enable Spam Protection in WordPress. How to create a full backup of your WordPress website? How to create pages and post comments in WordPress? How to create post categories and posts in WordPress? How to improve WordPress SEO? To add functionality to your WordPress website you can install different plugins. They extend its capabilities and allow you to perform different actions along with the built in ones. The installation of plugins is actually a straight-forward process, very similar to the themes installation. On the page where you will be redirected to you have two options – to install a plugin from the official WordPress repository or upload a plugin you have already downloaded on your computer. Plugins can be downloaded for free from the official WordPress repository available here. You can also review our WordPress hosting plans on this page. WordPress is not right for you?